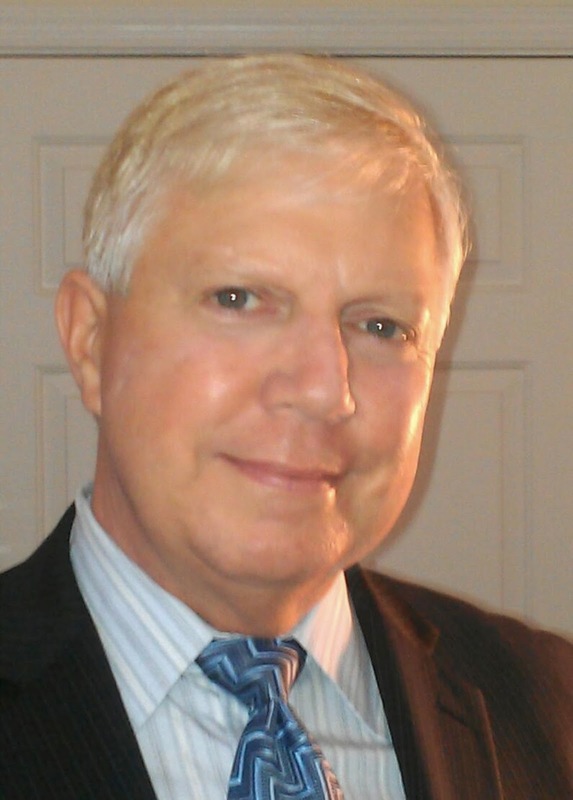 Richard R. Russey is the author of When the Sun Got Stuck: A Fable for Leaders and Their Teams. He has spent 40 years in the education field, including working as a classroom teacher, and he has a blog focused on leadership issues. Q: What does the fable about the sun getting stuck say about leadership? A: “Leadership” is used to describe a dynamic in a wide array of arenas – from political to social to educational to business – where unique combinations of qualities are demanded of people who aspire to supervise, manage, or officiate. It is often the case that when a crisis looms, the true qualities one brings to a leadership role come to the surface for better or for worse. The sun getting stuck between two mountain peaks that brings such anxiety and chaos in this fable to a small community is a metaphor, of course, for working with the skills, experience, and knowledge of every member of the team (the work force) contributing to the successful resolution of the crisis. So, the mountains, in this fable, represent impediments to successful leadership. The sun breaking free of the mountains and popping up into the sky represents the success of the team approach to leadership. Q: Who are some of the leaders--both historic and present-day--that you admire most, and why? A: There is a small, but powerful, circle of leaders that make my most admired list: Abraham Lincoln; Martin Luther King, Jr.; Nelson Mandela; Eleanor Roosevelt; and Maya Angelou. All of these leaders share the similarity of a few key traits: core belief in equity and diversity; being able to go it alone when necessary; seeing a reason for the present; and a clear vision for the future. Q: What are some qualities that leaders should avoid? A: It’s an interesting question, because we often think only of the positive qualities of leaders. But leaders are people, and as such, possess characteristics that they are still working on improving. What leaps to mind as “qualities” or characteristics that leaders should avoid include: putting staff in no-win situations; demonstrating a cavalier attitude; exhibiting a querulous demeanor; providing amorphous guidance; leading with narcissism and /or for ego needs; and operating in a unilateral vacuum, among others. Q: In the book, you refer to the "smart/heart leaders." What qualities do those leaders have? A: “Smart/Heart Leaders” are those who are able to achieve an appropriate balance between their head (cognitive, linear thought, knowledge) and their heart (feeling, affective qualities, emotional intelligence, creativity) in their work and interaction with others. These include, specifically: team approach; dynamic likability; positive persuasion; and imagining and creating the future with the staff (team), board, and stakeholders. 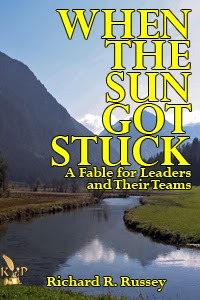 A: I have been working on the revision of a companion piece to When the Sun Got Stuck: A Fable for Leaders and Their Teams© It is a book that explores the “Smart/Heart Leadership” concept in far greater detail. Additionally, I have been receiving requests for work book companions to the fable. As I writer, I’m always looking to expand my universe. So, another project I’ve had in the works for some time is a fictional memoir covering the lifespan of a young-to-old man who grew up as a military brat, then moving through the decades of his life living fully as a gay man. Each decade brings challenges, lessons-learned, and laughs and tears along the way. A: I am represented by Diane Nine Speakers, Inc., and she is my literary agent as well. I encourage anybody reading this to connect with Diane should you have interest in booking me as a speaker, workshop leader, panelist, or book signings. My ongoing interest in leadership is explored in my blog which can be seen here: http://richardrusseywrites.blogspot.com.